Den nye 2019 Kollektion bliver solgt fra Torsdag d. 21. februar. Før priser fra 300-900kr/Begrænset parti. ALLE RESTER i Løbesko KUN 450kr. Før op til 1300kr. 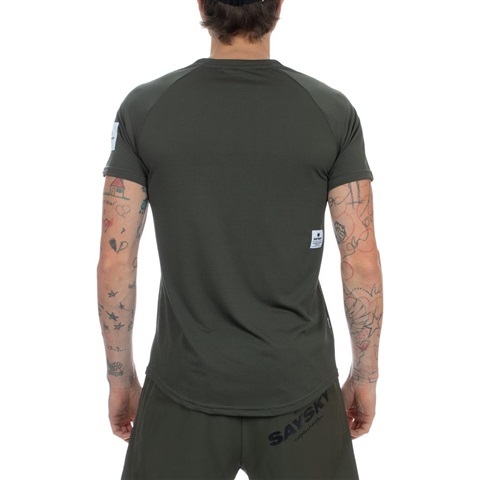 The SAYSKY Blaze SS Light Tee is a short sleeve running tee in olive green. 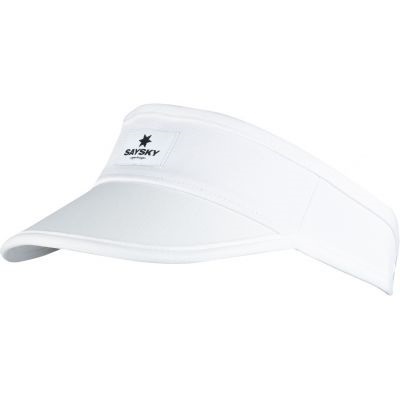 It comes with a clean, sleek design and a woven SAYSKY label on the back and arm in white. 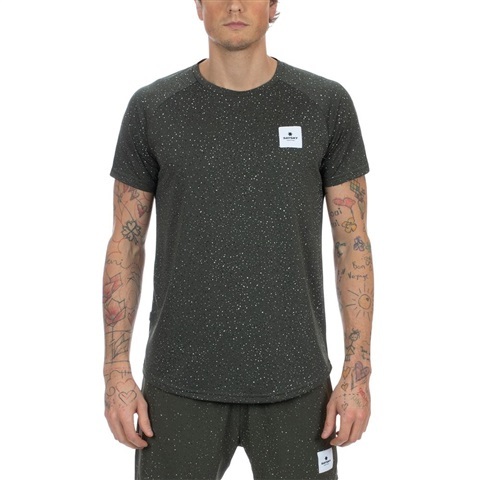 The fit is athletic, with a super soft fabric and great wicking abilities. 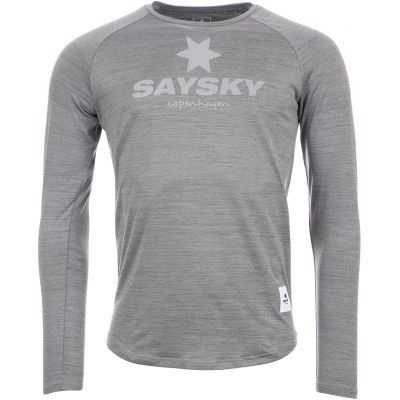 FeaturesSizingShipping SAYSKYDRY performance fabric: soft, lightweight and technical wicking abilities to keep you dry and comfortable on the run. 100% lightweight polyester Stretchable fabric easily accommodates all body types. Slightly longer back for optimal protective ability. 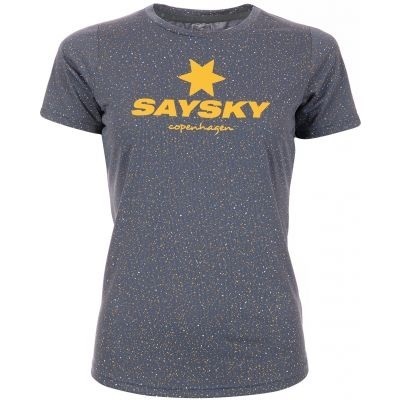 The SAYSKY Universe SS Light Tee is a unisex short sleeve running tee. 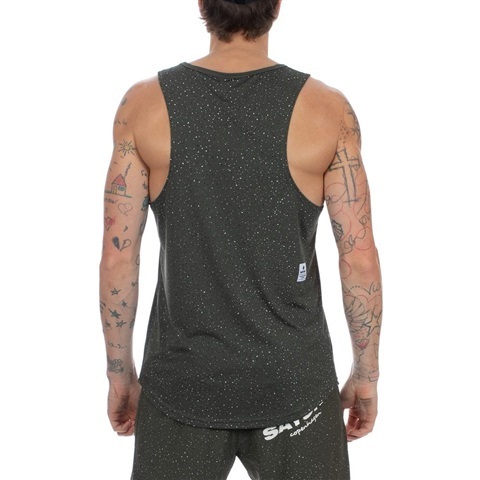 It has been made from a super lightweight fabric in green with our signature universe print. 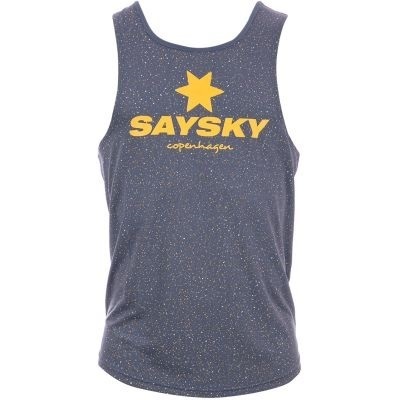 It also comes with a classic SAYSKY logo on the back and a woven SAYSKY label on the front. 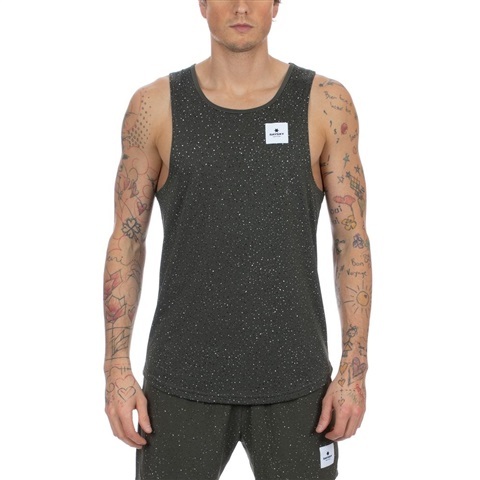 The fit is athletic, with a soft fabric feel and high level of breathability. 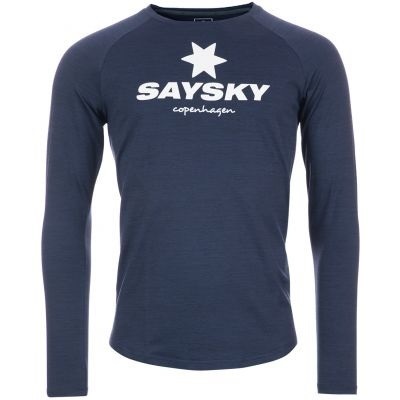 FeaturesSizingShipping SAYSKYDRY performance fabric: soft, lightweight and technical wicking abilities to keep you dry and comfortable on the run. 100% lightweight polyester Stretchable fabric easily accommodates all body types. Slightly longer back for optimal protective ability. 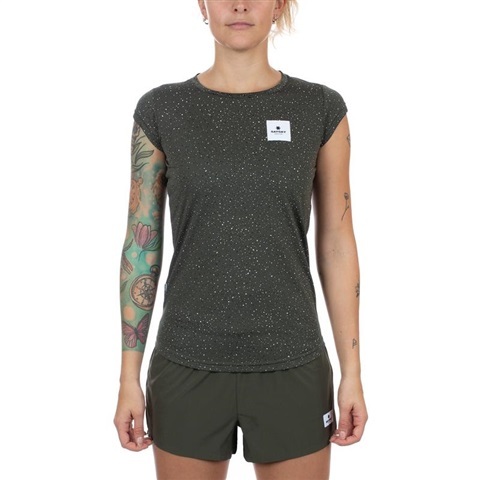 The SAYSKY Splinter Classic SS Light Tee is a unisex short sleeve running tee. 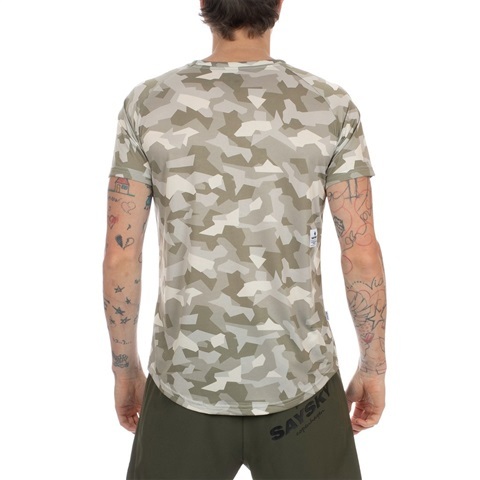 It has been made from a super lightweight fabric in desert camo. 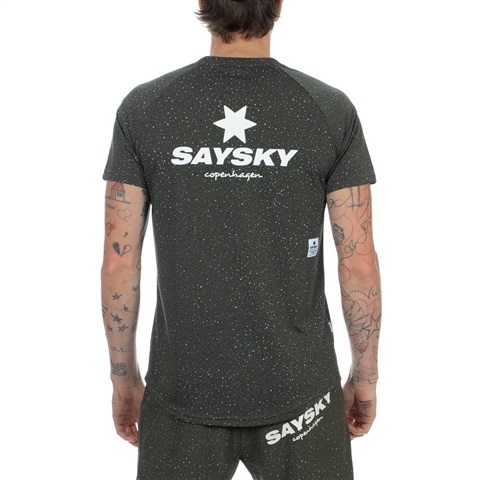 It comes with a SAYSKY logo on the front in olive and woven labels in white. 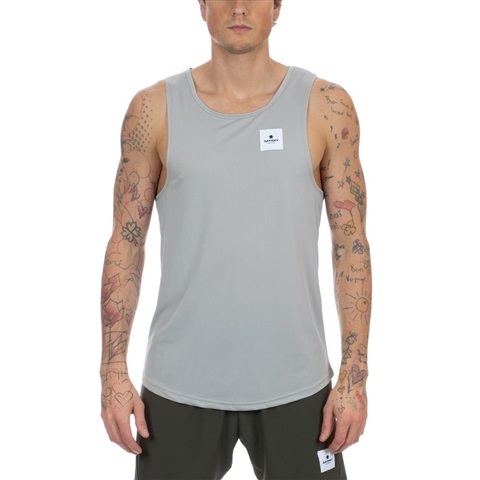 The fit is athletic, with a soft fabric feel and high level of breathability. 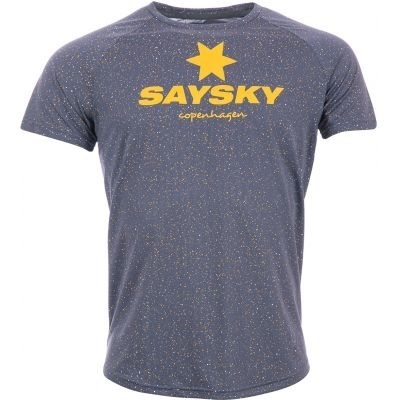 FeaturesSizingShipping SAYSKYDRY performance fabric: soft, lightweight and technical wicking abilities to keep you dry and comfortable on the run. 100% lightweight polyester Stretchable fabric easily accommodates all body types. Slightly longer back for optimal protective ability. 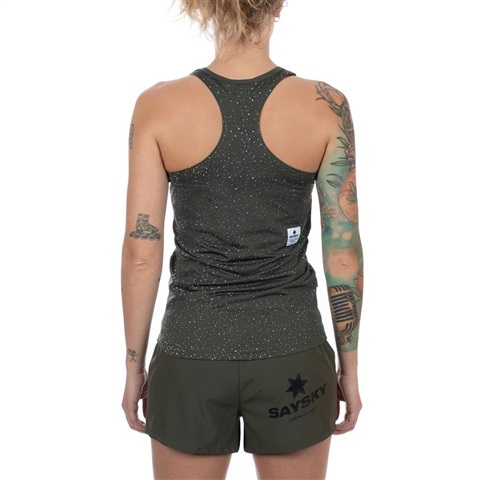 The SAYSKY Universe Singlet is a unisex race singlet in green. It comes with our signature universe print and woven labels in white. The fit is athletic and straight up made for racing. 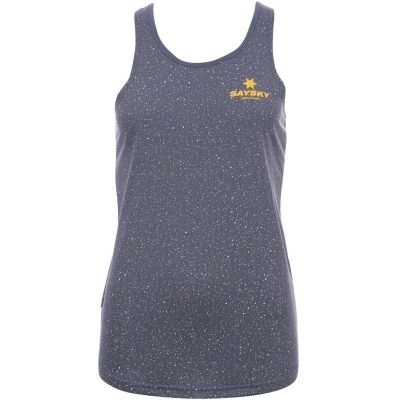 The fabric is super light and breathable, making for a very comfortable running experience. FeaturesSizingShipping SAYSKYDRY performance fabric: soft, lightweight and technical wicking abilities to keep you dry and comfortable on the run. 100% lightweight polyester. Race light fabric for an extremely lightweight feel. Large arm opening to reduce chafing when running. 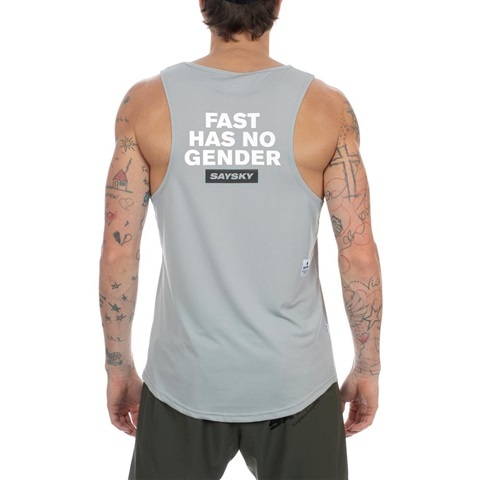 The SAYSKY Fast Singlet is a unisex race singlet in flint grey. It comes with a statement print on the back in white and a woven SAYSKY patch on the front in white. The fit is athletic and straight up made for racing. 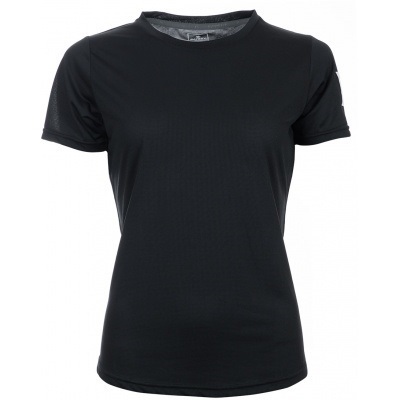 The fabric is super light and breathable, making for a very comfortable running experience. 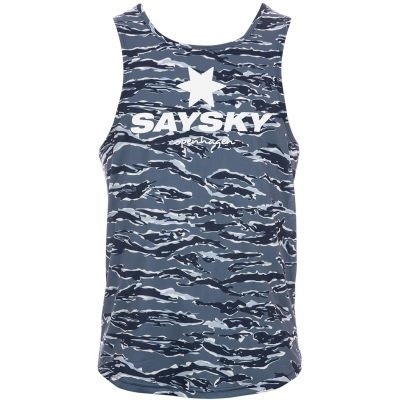 FeaturesSizingShipping SAYSKYDRY performance fabric: soft, lightweight and technical wicking abilities to keep you dry and comfortable on the run. 100% lightweight polyester. Race light fabric for an extremely lightweight feel. Large arm opening to reduce chafing when running. 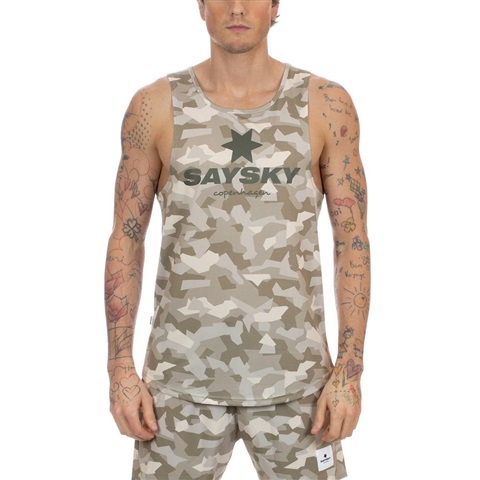 The SAYSKY Splinter Classic Singlet is a unisex race singlet in desert camo. 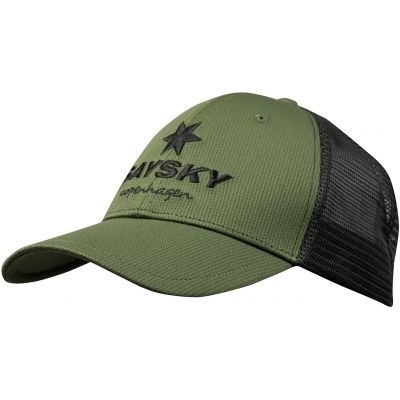 It comes with a SAYSKY logo on the front in olive green and a woven label on the back. The fit is athletic and straight up made for racing. 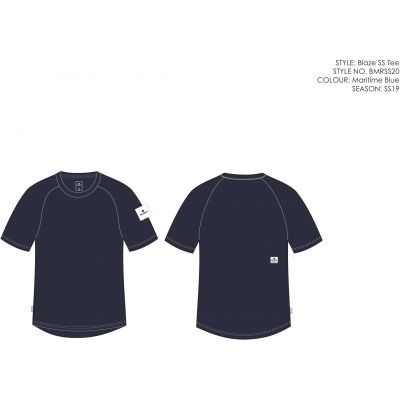 The fabric is super light and breathable, making for a very comfortable running experience. FeaturesSizingShipping SAYSKYDRY performance fabric: soft, lightweight and technical wicking abilities to keep you dry and comfortable on the run. 100% lightweight polyester. Race light fabric for an extremely lightweight feel. Large arm opening to reduce chafing when running. 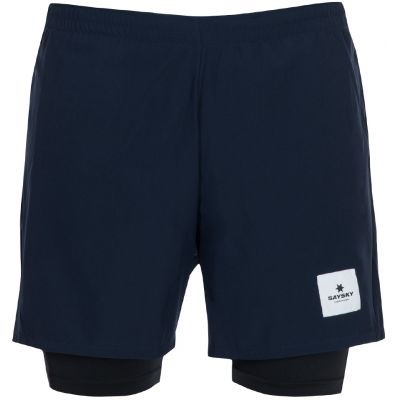 The 2-in-1 style running shorts is one of our most popular styles. 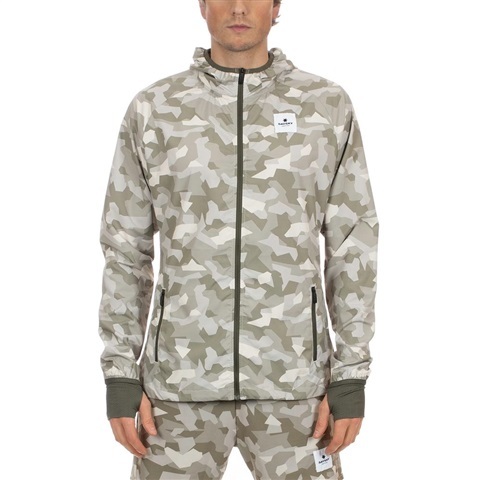 This version comes with a desert splinter camo outer pant and olive green inner pants. 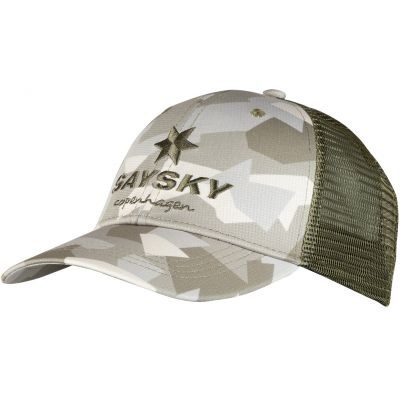 There's a woven SAYSKY label in white on the front and a SAYSKY logo on the back in olive. The fit is athletic with narrow legs to reduce wavering when going really fast. 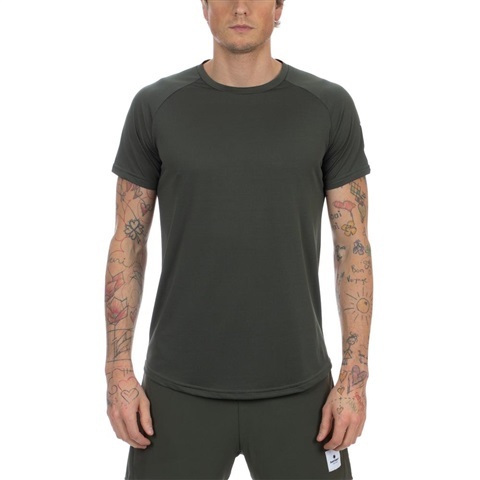 FeaturesSizingShipping SAYSKYDRY performance fabric: soft, lightweight and technical wicking abilities to keep you dry and comfortable on the run. 88% polyester and 12% spandex. Long inner pant to reduce irritation from chafing. Two inner gel pockets. Four-way stretch material for enhanced freedom of movement. Zipper back pocket with a sweat repellent membrane. 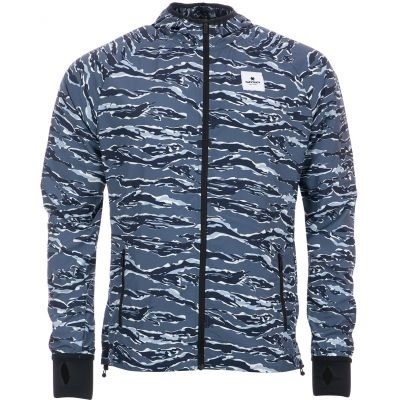 The SAYSKY Splinter Jacket is a classic hooded running jacket with an athletic fit designed to withstand the wind. 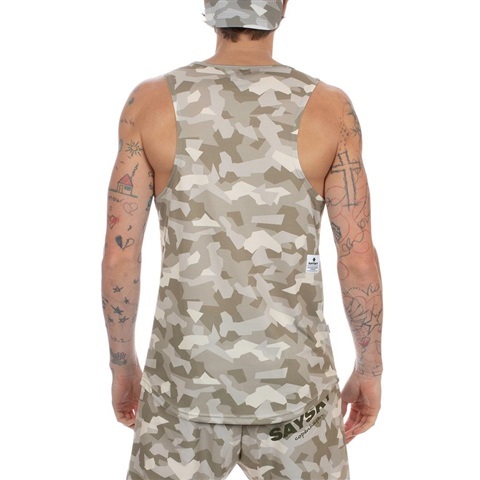 It comes with a desert splinter camo print, a SAYSKY logo on the back, woven labels in white, alongside reflective details on the back. 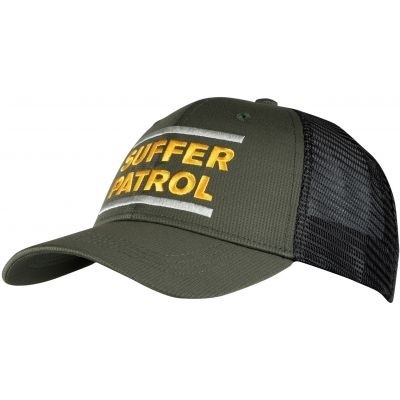 FeaturesSizingShipping 100% ripstop polyester. High elemental protection from the wind. Pinholes under the arms and back for added ventilation. 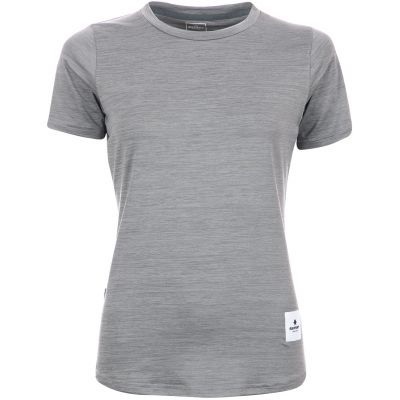 Soft and comfortable lining in the neck and cuffs. Elastic and adjustable bottom band. Protective cuffs with thumb holes. Two side pockets. 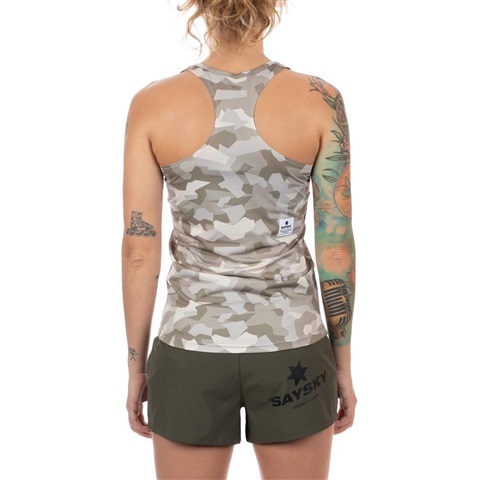 The SAYSKY women's Universe Singlet is a race singlet in green with our signature universe print. 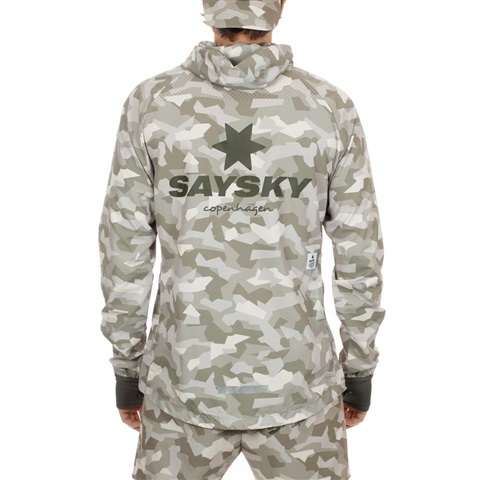 It comes with a SAYSKY logo on the chest and a woven label on the back. The fit is athletic and straight up made for racing. 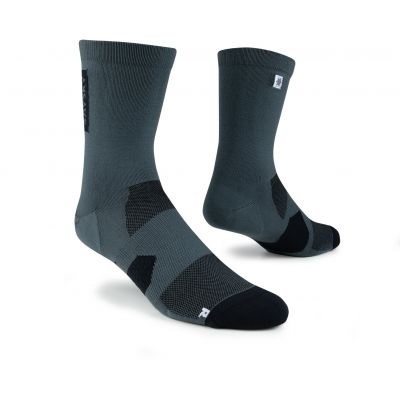 The fabric is super light and breathable, making for a very comfortable running experience. FeaturesSizingShipping SAYSKYDRY performance fabric: soft, lightweight and technical wicking abilities to keep you dry and comfortable on the run. 100% lightweight polyester. Race light fabric for an extremely lightweight feel. Large arm opening to reduce chafing when running. 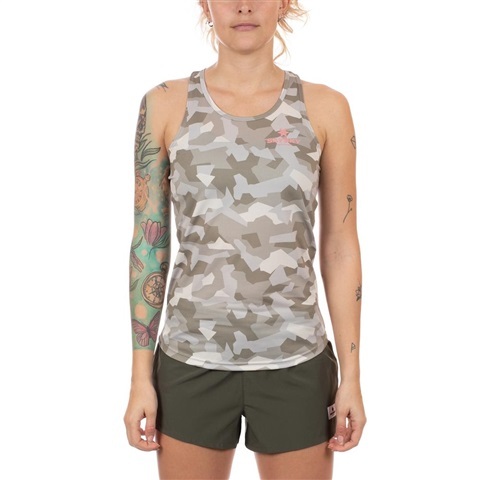 The SAYSKY women's Splinter Singlet is a race singlet in desert splinter camo. 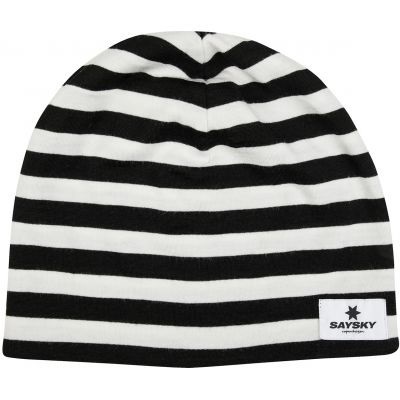 It comes with a small SAYSKY logo on the chest and a woven label in white. The fit is athletic and straight up made for racing. 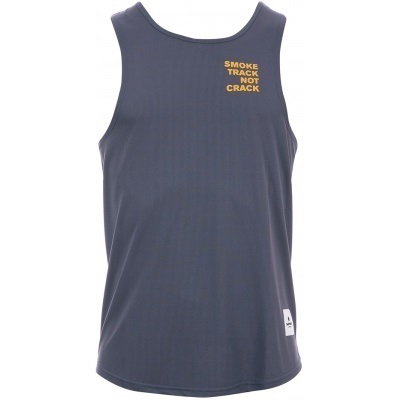 The fabric is super light and breathable, making for a very comfortable running experience. 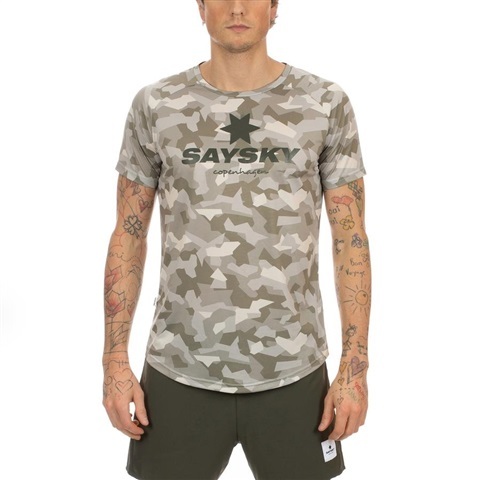 FeaturesSizingShipping SAYSKYDRY performance fabric: soft, lightweight and technical wicking abilities to keep you dry and comfortable on the run. 100% lightweight polyester. Race light fabric for an extremely lightweight feel. Large arm opening to reduce chafing when running. 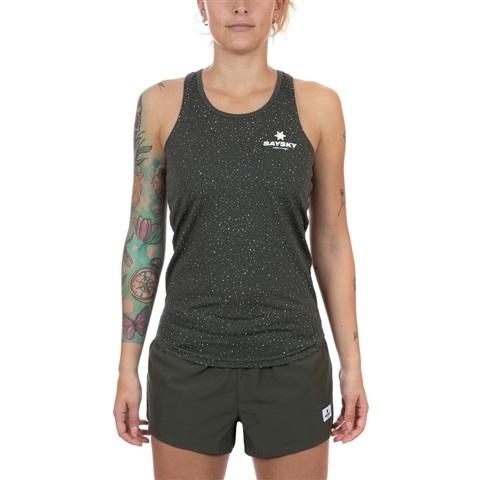 The SAYSKY women's Pace Shorts 2.0 is a classic pair of running shorts in olive green. They come with a woven SAYSKY label in white on the front. The fit is athletic with a medium high waist. 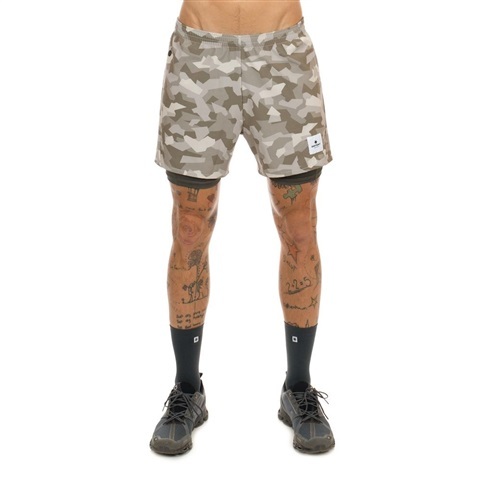 These shorts are equally great whether you're going for a run or hitting the gym. 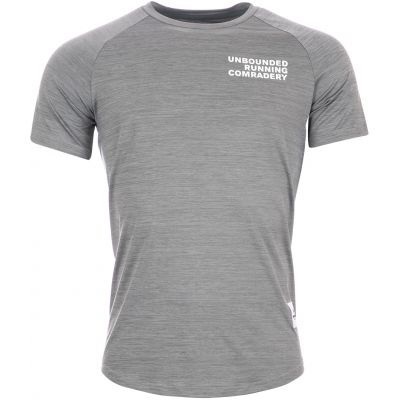 Features Sizing Shipping SAYSKYDRY performance fabric: soft, lightweight and technical wicking abilities to keep you dry and comfortable on the run. 88% polyester and 12% spandex. There's no lining, so the shorts can easily be worn with your favourite pair of short tights. Four-way stretch material for enhanced freedom of movement. Zipped back pocket and inside gel pockets. 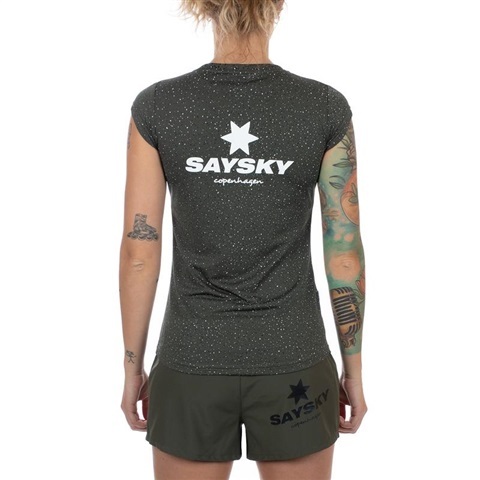 The SAYSKY women's 2 in 1 style running shorts is one of our most popular styles. 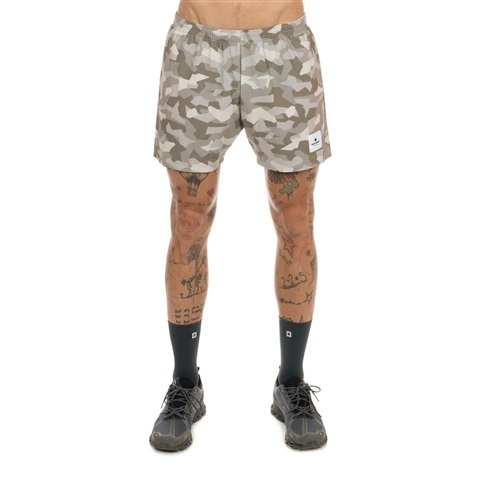 This version comes with olive green outer shorts and desert camo inner pants. There's a woven SAYSKY label in white on the front. The fit is athletic with a medium high waist. They'll serve you well whether on the run or in the gym. FeaturesSizingShipping SAYSKYDRY performance fabric: soft, lightweight and technical wicking abilities to keep you dry and comfortable on the run. Shell: 88% polyester and 12% spandex. Lining: 100% polyester. Long inner pant to reduce rubbing and chafing. Four-way stretch material for enhanced freedom of movement. Zipped back pocket. 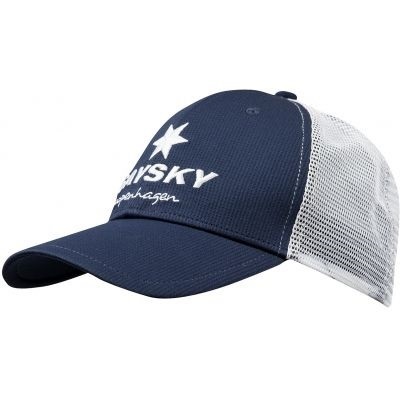 The SAYSKY Reverse Blaze Cap is a reversible 5-panel cap made for running. One side is black with a white SAYSKY patch and the other side is made from our iconic and reflective universe print in red. 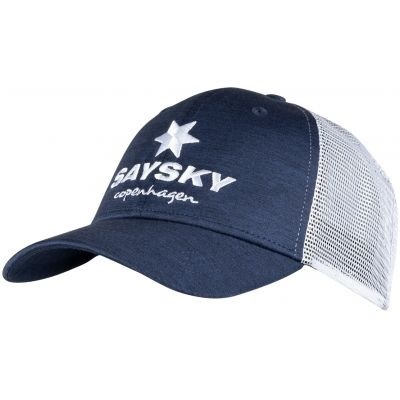 The SAYSKY Trail Cap is trucker style cap made for running. 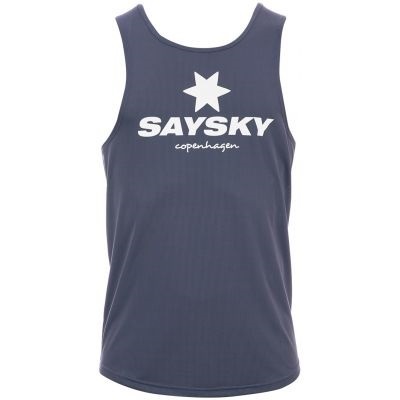 It comes with a white mesh and maritime blue front with a SAYSKY logo in white. 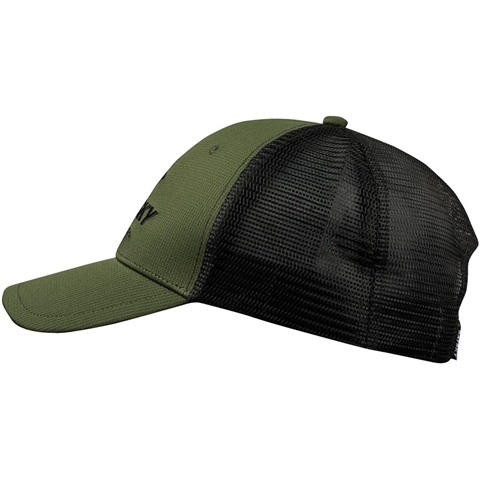 The cap is highly breathable and very lightweight.